Manhattan’s vibrant Soho neighborhood has long been home to artist and trendsetters drawn to the historic cast iron architecture and cobblestone streets. Located in a classic loft building on Broadway, our Soho studio reflects the best of its design conscious neighborhood. The architect Clodagh created two full floors of life-enhancing design using eco-friendly materials, bamboo, and low-VOC finishes. The 3 lofty teaching spaces accommodate large classes, specially designed Iyengar yoga walls and a room exclusively for private yoga classes. Our studio also features a men’s and women’s retreat, complete with showers and changing rooms. Students enjoy hanging out in our tea areas, checking their email and shopping in our yoga boutique. A diverse mix of students practice here, with a strong following of young professionals and college students. Students looking for a more intense workout will feel right at home with our BarWorks®, SculptWorks®, and Power Yoga classes. Street and metered parking available. This workshop is designed for pregnant people and partners preparing for labor and delivery as well as those wishing to learn more about the process of pregnancy and birth. Doulas and yoga / movement teachers are welcome to attend. There is no prerequisite for this workshop. 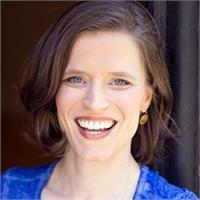 Heather Seagraves is a mother, movement educator, LMT, and Birth Doula. She is also pregnant with her second child. 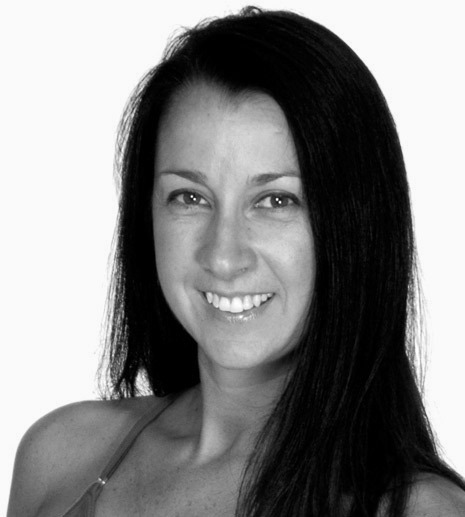 Heather has been teaching and studying movement for over 20 years. Her journey to supporting pregnancy, couples, and babies is deeply rooted in her personal birth experience and from intimately working with families at a young age. 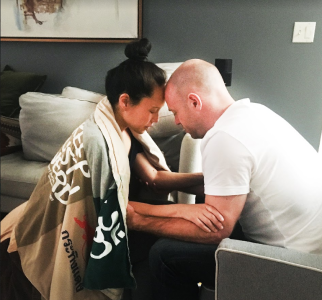 Witnessing her first birth in 2001, Heather has since been inspired by this miracle our bodies and spirits weave together. Being a Birth Doula and educator is a service of compassion, empathy, listening, and holding sacred space for pregnant people to be empowered. Heather is called to this work and aims to create a well of knowledge from which pregnant people and partners can draw. *ENROLLMENT NOTE: Advance price registration for this training is not available through the mobile app. Please visit YogaWorks.com/classes/workshops or call YogaWorks Soho at (212) 965-0801 to register at the advance price. So You’re Flexible. Now what? Maybe you came to yoga to increase your flexibility. Or maybe you came for other reasons and your increased flexibility became an added benefit. Or, maybe you have always lived in a fairly bendy body and so yoga poses have generally come easy for you. Get clear on your patterns. Your body will generally move where it’s already quite able to. This means that you might unknowingly rely on some areas to do all the moving, all the time, while others get stiffer and weaker because they never get to. Let's balance things out. Build quality and control in your poses and transitions. Your body will thank you for not always relying on your hand, or a strap or gravity to get you there, and you'll be better equipped to handle the demands of your daily life, too. Welcome to mobility. You’re going to like it here. 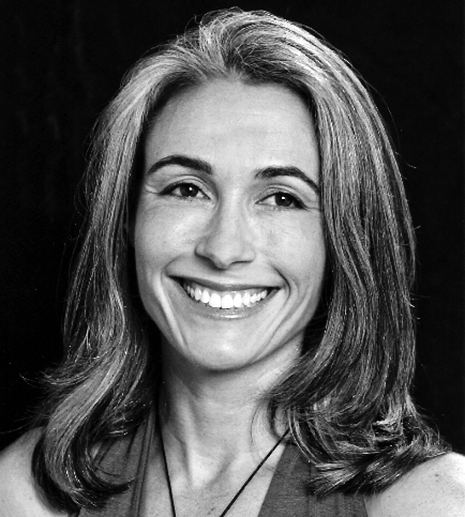 Markella Los is a yoga and movement teacher, and a YogaWorks teacher trainer. 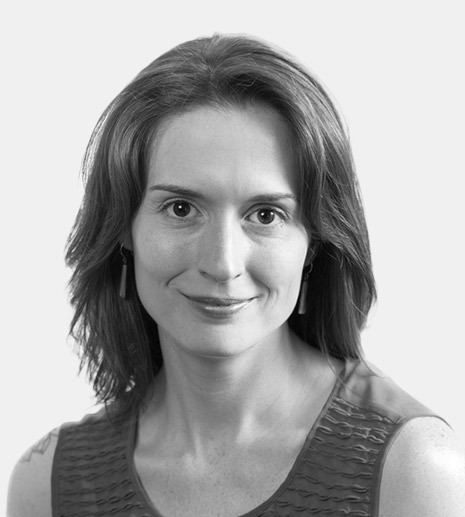 She is passionate about guiding people to move better and feel better while doing the practice they love and, more importantly, in their day-to-day lives. 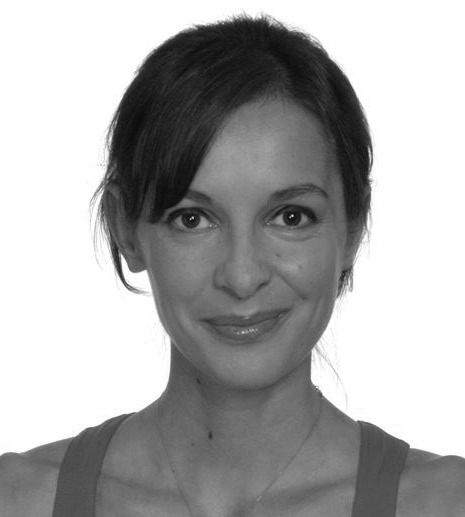 She is certified in the YogaWorks, Yoga Tune Up® and Trauma-Conscious Yoga methods, and as a FRCm Mobility Specialist. Female-centered ancient yoga practicesfocusing on transcendence through ecstatic experience; one in whichyou transcend your ordinary self. Vinyasa Yogawhich celebrates the natural rhythms of the universe.Rhythm is the mantra of motherhood: contractions,suckling, breathing,swaying, singing, dancing,sleeping and waking. Traditional women's healing artsincluding midwives, priestesses, wise women, herbalists, shamans, spiritual healers and yoginis,foundedupon a deep connection to nature and an honoring of the human body. Eastern mindfulnesspracticesthat identify and re-condition negative belief systemsand encourage women to be present for their babies. Personal transformationbecause women birth as they live; prenatal yoga offers a chance for personal growth in preparation for birth and motherhood. Ritualsare actions done with deep awareness and dedication to a higher purpose that opens the door to the sacred. These ritualsincludemovement,breath work,chanting, mantra, visualization, meditation and relaxation techniques. Consciousbirth movementwhich prepares women for active childbirth in which she isempowered and respected,she is responsible for the choices she makes about her birth and she has increased self-esteem from the experience. Attachment theorywhich is taken from western psychology and encourages womento follow their instinctsinmeeting their babies needs. Modern medicine and sciencewhich has provided invaluableinformationfromnumerousareasincluding brainscience, anatomy and physiology of pregnancy and birth and obstetric problems and interventions. Poetry,storytelling and mythologywhich can be a useful tool to encourage wisdom, inspiration andtransformation. The Yoga Tune Up® 40-hour Certification Program strikes a balance between the worlds of yoga and fitness, attracting trainees of all ages, body types, and movement modalities. 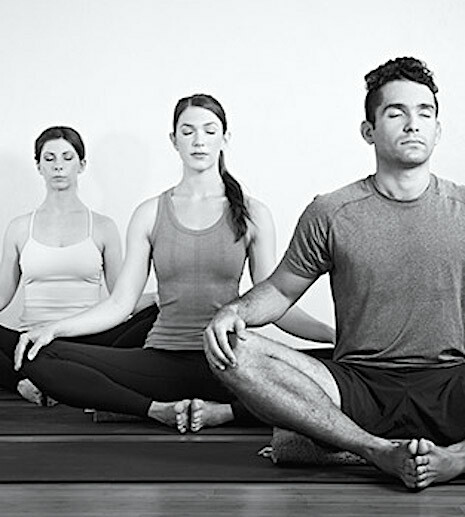 It breaks down the nuts and bolts of human movement by using a yogic lens of awareness, conscious relaxation and proper breathing techniques. The environment fosters trainees into a newly intimate understanding of their own architecture, diving deeply into integrated anatomy and body mechanics. You will go beyond formulaic instruction and truly learn how to think and teach creatively within your specific teaching environment, with both group classes and private clients. Trainees are presented with “template” Yoga Tune Up® classes that can be used to help jumpstart workshops and classes. Passing of this course is required to be a licensed YTU teacher. YogaWorks Soho, 459 Broadway, 2nd Fl. Laurel Beversdorf, E-RYT 500, is an international yoga educator specializing in biomechanics, self-care and yoga teaching pedagogy. She is the creator of the Body of Knowledge anatomy series, Yoga with Resistance Bands online classes and in-person workshops and trainings, a lead Yoga Tune Up® trainer, and a senior teacher and trainer at YogaWorks in New York City. 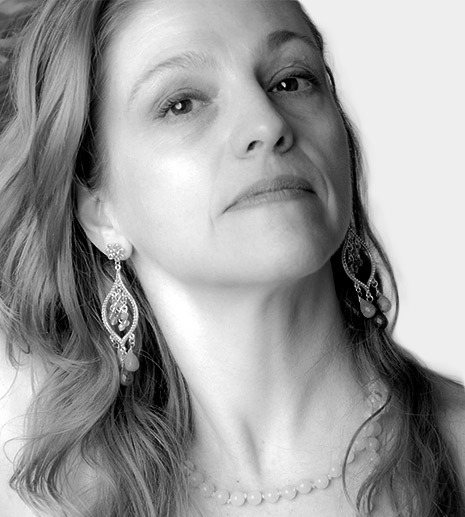 Laurel’s articles have appeared in Yoga Journal, Yoga Tune Up Fitness and Shut Up & Yoga. Self-Care is a necessary and vital part of living a full and healthy life. This immersive Self-Care Restorative Yoga + Meditation Experience will guide you through the rhythms of your body and breath allowing you to unplug, recharge, and reboot from day to day stresses that tax our nervous systems. Our habitual musculoskeletal patterns and pain that create imbalances in the body and breath can be retrained with careful practice, relaxation, and attention. This workshop will be accompanied by the organic and ambient melodies of live music. The physical exploration will combine a use of ballistic movement, functional range of motion, self-massage, breath awareness, restorative asana, and mindful meditation. No yoga experience needed. Open to all levels. Relax and restore in this magical getaway for the body, mind, and senses. Give way to the transformative and healing power of movement, music, and stillness. Clear your mind, fill your heart, connect to your rhythm and breath. Please contact YogaWorks Soho at (212) 965-0801 if there are any concerns about single-session enrollment. This class introduces dozens of preparatory dynamic warm-ups that serve to tune up awareness, range of motion, and uncovering areas of weakness or kinetic disconnect. Explore every major joint of the shoulders, hips and spine to build a repertoire of conscious connected movement from top to bottom and inside out. This class disassembles Triangle and Twisted Triangle poses and deeply analyzes hip range of motion from every conceivable angle. If these poses have been a bugaboo in the past, this class will clarify where your hips may need some extra attention. Class also includes deep core work. Break down Down Dog before your Dog has a breakdown. Shoulder mobility, or lack thereof, can create multiple obstacles for doing this pose efficiently and harmoniously. Learn dozens of new shoulder tactics to improve this pose for the long-term while “un-tacking” trouble spots in the shoulder girdle. Learn a profoundly relaxing sequence that restores motion and length to the entire hip joint. Reclaim your hips with this stealth sequence that unglues even the most reluctant of joints to become nimble, supple and supportive. Bonus pranayama sequences also assure rejuvenating deep rest. This class explores the roots of total spinal rotation. Core musculature will be toned and lengthened from every vector. Your spine will learn to relate better to the pelvis for safe and connected twists from root to crown. A spine prepares for backbends by understanding its own coordination, mobilization and limitations. This class digs through layers of core musculature to help you connect with the innermost abdominals to improve your performance of every category of backbend. All workshops are non-refundable. Cancellations made two weeks or more prior to workshop start date will be issued store credit. No store credit will be given for cancellations made less than two weeks prior to workshop start date. No credits or refunds will be given the day the workshop begins. YogaWorks is not responsible for any and all costs incurred for travel arrangements or accommodations related to this event. **ENROLLMENT NOTE: Single session registration for this training is not available on the YogaWorks mobile app. To enroll in an individual session, visit yogaworks.com/workshop/yoga-tune-up-master-classes or contact YogaWorks Soho at (925) 478–7272. Yoga has been shown to enhance physical health as well as social and emotional development. 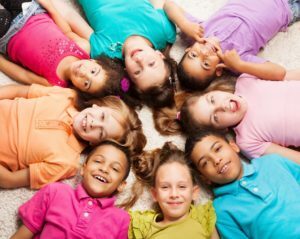 Your children will learn valuable skills and have a great time in this yoga class series built around themes such as gratitude, self-love, and acceptance. We will practice yoga poses and learn yoga-related concepts (including songs and games), as well as breath and body-quieting techniques for self-calming. 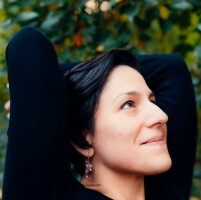 Nicole Alexander is a yoga teacher, wellness counselor, and writer. She completed her Kids Yoga teacher training at YogaWorks NYC with the talented Jocelyn Levy of Wee Yogis. 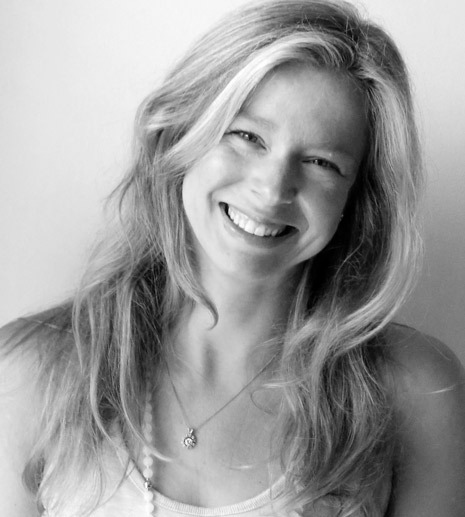 Nicole teaches yoga to both children and adults in Westchester County, NY. She loves sharing this beautiful practice of yoga/mindfulness with children so that they may gain tools to live healthier, happier lives..
*There will be no session on Monday, May 27. **ENROLLMENT NOTE: Advance price registration for this training is not available through the mobile app. Please visit Yogaworks.com/workshops or call YogaWorks Westchester at (914) 591-9642 to register at the advance price. Have you been curious about your standing poses, and whether or not you're doing them correctly? Have poses like Warrior 2 and Triangle become stale for you after years of practice? Reinvigorate your experience by learning the ideal way to approach each pose in YOUR body and get an assessment of where you are in your practice. This workshop will give you the opportunity to feel new pathways of movement and breathe new life into each standing pose. Then, take your experience with you into your daily practice. Followed by a restorative and self-care practice, experience a well-rounded class designed to give you the tools to start re-building your practice from the ground up and from the inside, out. • Breathe new life into your practice by experiencing new directions of energy and movement in your postures. • Rediscover standing poses like Warrior 2, Triangle, Tree and Warrior 1 from the ground up and learn how to find the right alignment for your body in the pose. • Get an assessment of where you are in your postures, and how you can improve them. • Seal in your experience with a 30-minute deeply restorative and self-care practice. 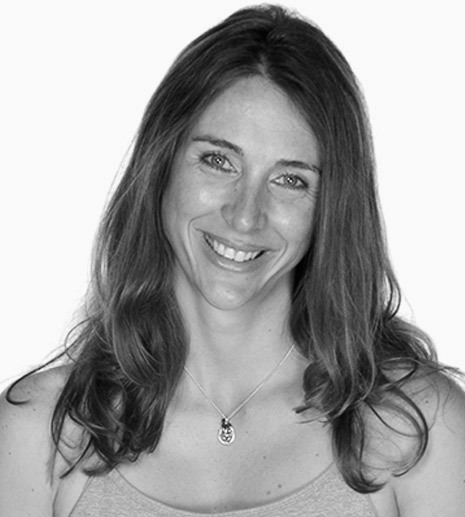 Michelle Wert is a 500hr Yogaworks Trained Teacher and is a part of the Yogaworks Teacher Training team, as well as a Yoga Tune-Up® Certified teacher. She loves sharing her passion & excitement for yoga with her students. *ENROLLMENT NOTE: Advance price registration for this training is not available through the mobile app. Please visit Yogaworks.com/workshops or call YogaWorks Westchester at (914) 591-9642 to register at the advance price. Experience a heat-building blend of cardio, strength training, and yoga during this vigorous Bodhi Sculpt workshop. The class will begin with a dynamic warm-up and rhythmic cardio blend (HIIT + Endurance), leading to a comprehensive toning series developed to maximize muscular engagement without over taxing supportive joints and ligaments. The extended session will feature an in-depth breakdown of the asanas and exercises without disrupting the flow of the class, concluding with a dynamic, rhythmic yoga flow gradually cooling the fire built the previous 90 minutes. For the past decade, Jason Bayus has been a force within the fitness industry. With a diverse background in both movement and sports medicine, his classes and methodical training style are sought after by professional athletes, models, and celebrities. Jason is committed to an inclusive practice and tailors his workouts for ALL body types, professions, and fitness levels. His work provides an innovative, well-rounded workout that is both entertaining and effective. *ENROLLMENT NOTE: Advance price registration for this training is not available through the mobile app. Please visit YogaWorks.com/workshop or call YogaWorks Soho at (212) 965-0801 to register at the advance price. Freeing The Voice will help us connect to our unique voices, open the pathways from our chest to our throat so that our vocal chords vibrate more easily, and reveal healing remedies for taking care of our vocal chords if we ever lose our voices. Warning: we will be making sound. • Breathe-based vocal exercises designed to warm and strengthen the voice. • Vocalizations for increased tempo and pitch. • Practical remedies for healing a sore throat and how to avoid losing our voice all together. 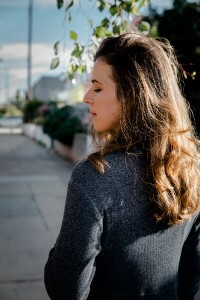 As a trained singer and vocal/stage artist, Sarah Girard has a degree in musical theater from UCLA and has performed in large and small settings, from the recording studio to symphonic halls. 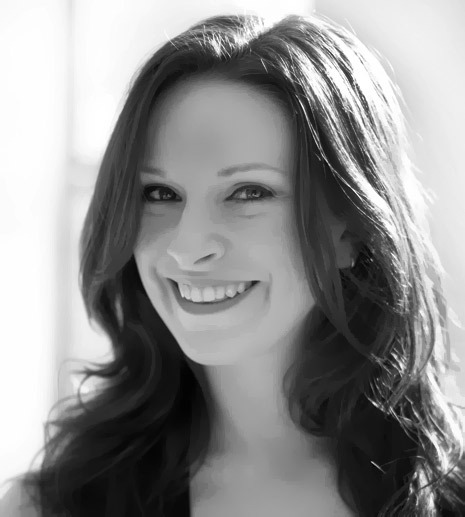 As a yoga instructor, Sarah has attended multiple trainings over the past 15 years, accumulating over 1000 hours of registered training credits, including a yearlong certification program at The Breathing Project with Leslie Kaminoff. And as a person, Sarah welcomes resiliency, courage and humor daily. **Tuition for the Science of Rolling includes the following: Course manual, (1) Pair of Original YTU ® Therapy Balls, online access to the Massage Kit DVD, and an optional certificate of completion. Have you been wanting to try an inversion in class, but not sure where to start or if it's right for you? Do you already have an inversion practice and would like to learn how you can improve it? Reinvigorate your experience by learning the ideal way to approach inversions in YOUR body and get an assessment of where you are in your practice. This workshop will invite you to explore new pathways of exploring movement & building strength, and will give you the opportunity to discover (or rediscover) an easeful approach to inversions without fear. Followed by a restorative and self-care practice, experience a well-rounded class designed to give you the tools to build your inversion practice from the ground up and from the inside-out. • How to approach an inversion for the first time OR get an assessment of your current inversion practice. • The proper way to prepare and warm your body to go upside down. • The discovery of the joy of approaching inversions from a new perspective and see what might be possible for you. • How to release the fear surrounding taking your feet over your head. 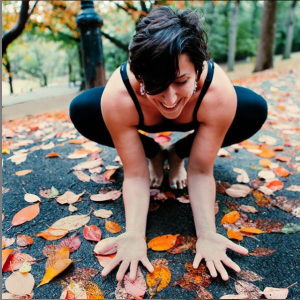 YogaWorks Eastside, 319 3rd Ave.
Michelle Wert is a 500-hour Yogaworks-trained teacher and is a part of the Yogaworks Teacher Training team, as well as a Yoga Tune-Up® Certified teacher. She loves sharing her passion & excitement for yoga with her students. *ENROLLMENT NOTE: Advance price registration for this training is not available through the mobile app. Please visit Yogaworks.com/workshops or call YogaWorks Eastside at (212) 650-9642 to register at the advance price.